So There Won't Be Any Solo HULK Movie? 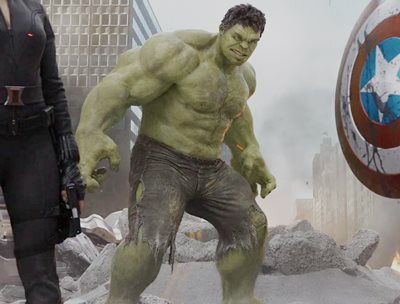 Word on the street until recently, has been that we have not seen plans for a solo Hulk film with Mark Ruffalo was because Universal held the rights to the character. "Word on the street" equals RUMOR or misguided facts. And sometimes those are hard to see through, so more often than not you will see folks sourcing their intel. Now the latest word on the street (there I go again) about a Hulk movie from Forbes writer, Mark Hughes, who did some serious digging, learned that Marvel got the rights back to the Hulk back in 2005. Marvel got the rights back when Universal did not "fulfill" their obligation to produce a sequel to the 2003 film, Hulk, thus, letting their rights expire. NOW, Marvel has the rights to produce a flick, but they still do not have the rights to distribute a Hulk film. A film distributor is the one you see who does all the marketing and gets the 'from...' logo in advertising. IE, from Warner Bros., produced by x, ... etc. It costs bucks to distribute a flick! So if Marvel decided to make another Hulk movie, Universal would be the one with the option to distribute it. If they happened to decline, then someone or anyone else could distribute it. So at the moment, despite many hopes or what not for a Planet Hulk of World War Hulk movie, it would seem that Marvel isn't making a new flick. They are focusing on their profitable properties right now. The latest stand-alone film was one of Marvel's poorest performing releases to date. The character strengths lie in being a huge, supporting character where needed though, and he made the show in the first Avengers movie while delivering some unique angst in the second film. Having a Hulk movie where Hulk is the on-screen presence, is not something Marvel has a lot of faith in. Technically, a Hulk film would need to bring in $750M at the box office to be a profitable project. It costs money to render that big boy! So Hulk needs more, many more fans proving they want a Hulk movie, and they're worried about how a solo Hulk movie will pan out financially. THAT is why we're seeing a solo Hulk film. My thoughts are, have a Hulk film, with the Avengers in it! Or better yet, who better than Joss Whedon himself should write a story about the big green guy who wants to be alone because he is afraid of what will happen to people around him. Whedon has proven himself time and time again to be able pull off tough stories. Just maybe. Then again, the Hulk has been an incredible member of the team ensembles every time he has shown up. Maybe you just don't mess with success. Period.